This was an unusual job because the customers wanted to find a place to tuck away their washer/dryer. The dryer is in the foreground of this picture, and the washer is around the corner in the kitchen on the other side of the stove. 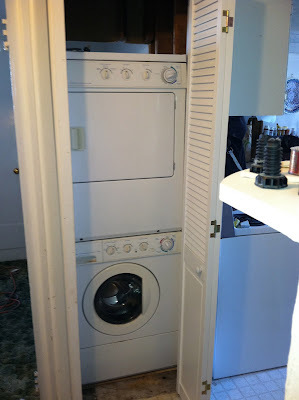 The customer wanted to remove the hot water heater, and then put the washer and dryer in the closet. The washer and dryer are just under 30" wide. The closet was 26" wide. 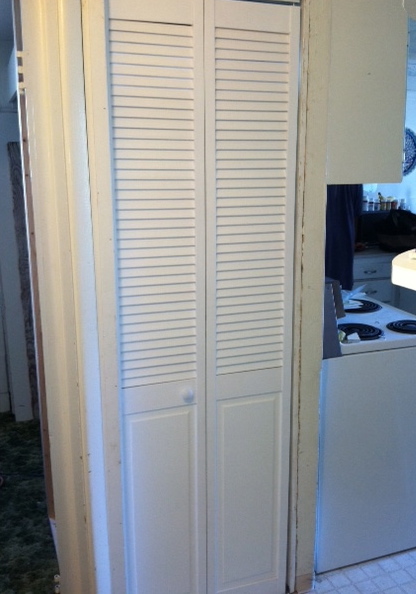 A tankless water heater freed up the closet space. Then we moved the bedroom wall several inches. The new washer/dryer were plumbed and loaded through the bedroom closet. Now, the customer can proceed with their planned kitchen remodel. Sometimes, on older houses, the window sills take a pounding. Consider It Done Construction has perfected a technique to protect window sills in areas where rot has been a problem in the past. We custom-form flashing to fit the sill, which seals the sill completely. If we find any other rotten wood around the window, it's replaced at that time. After priming and painting, it's like we were never there! The challenge on this job was to find a place to install a new dishwasher. 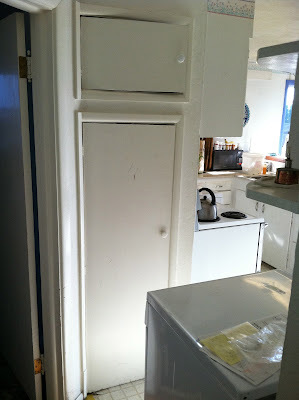 We started by making a space to fit the dishwasher. After that, we were able to slip a dishwasher in the space we created. Sometimes, carpentry is more like art.